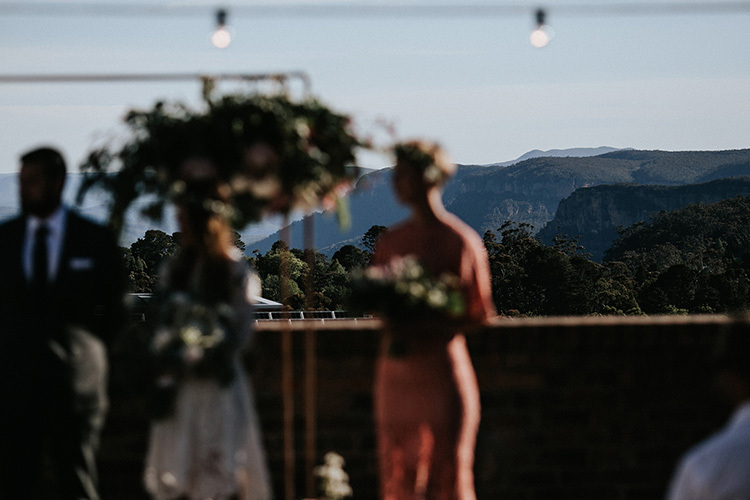 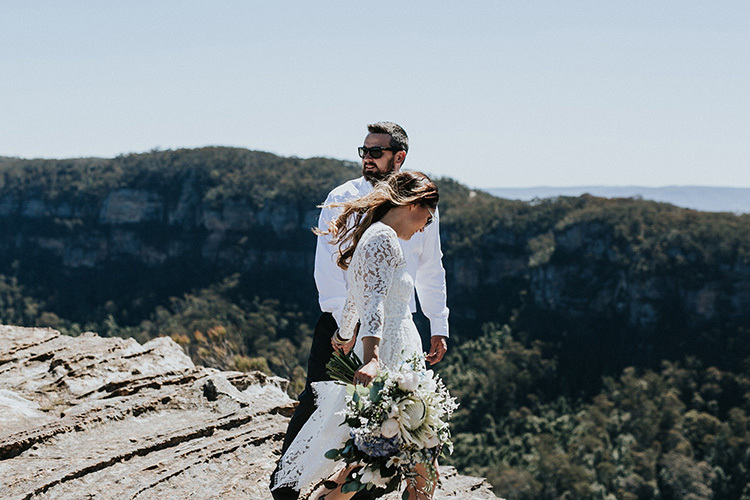 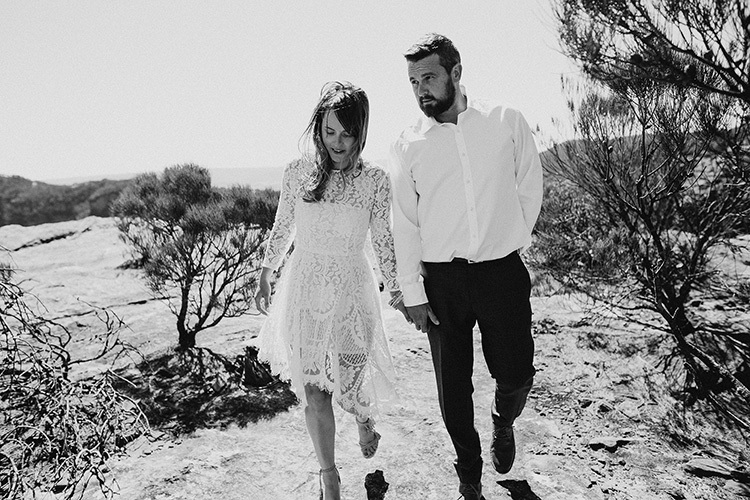 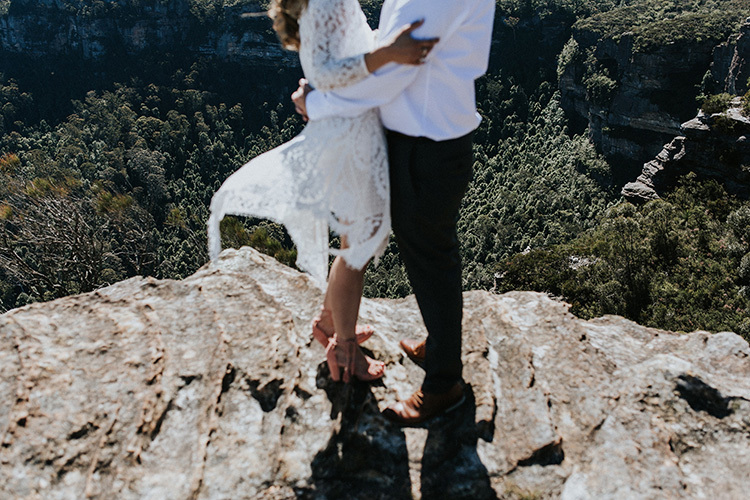 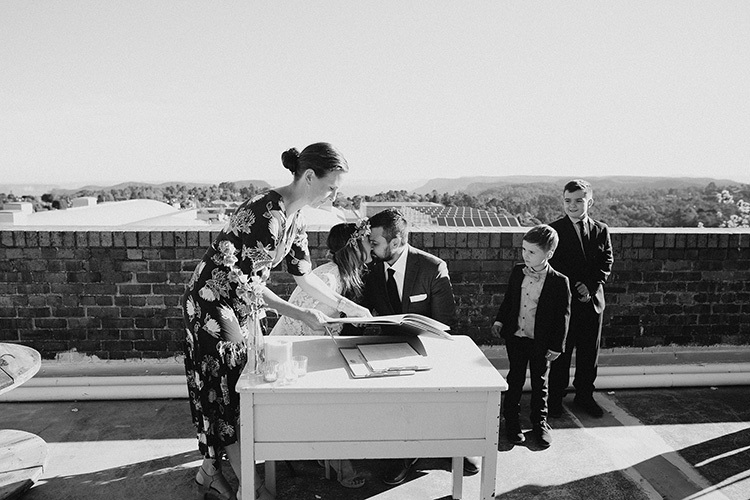 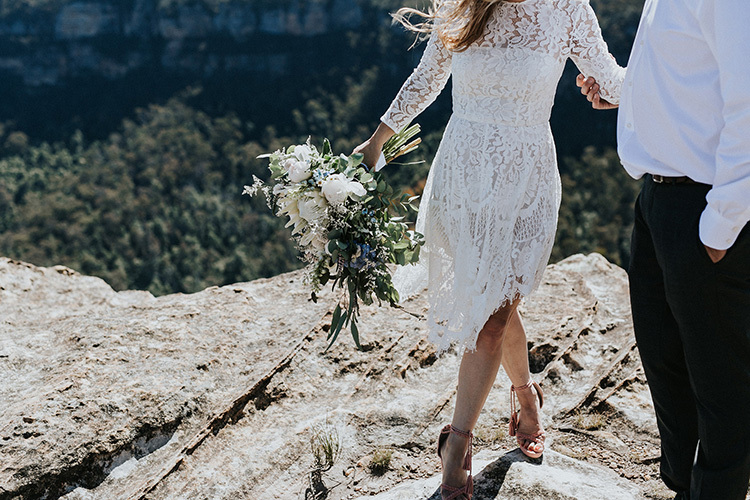 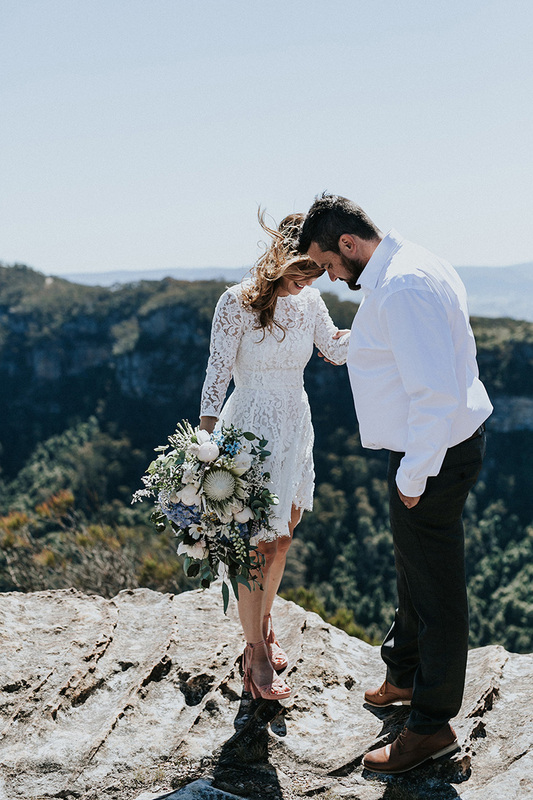 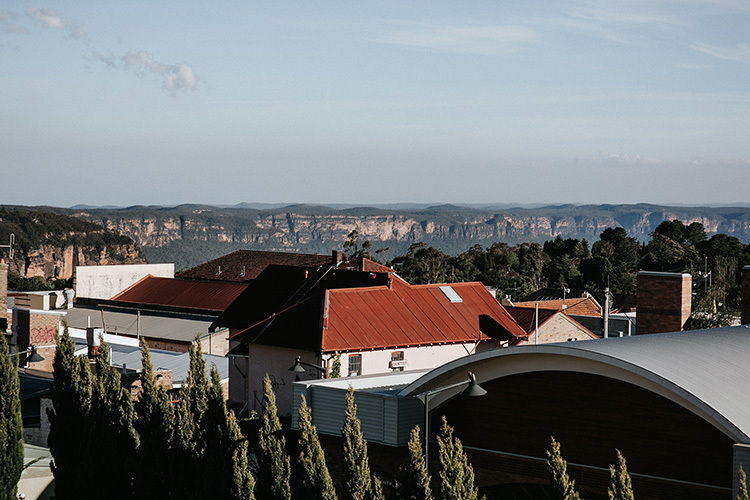 We love a local Blue Mountains wedding. 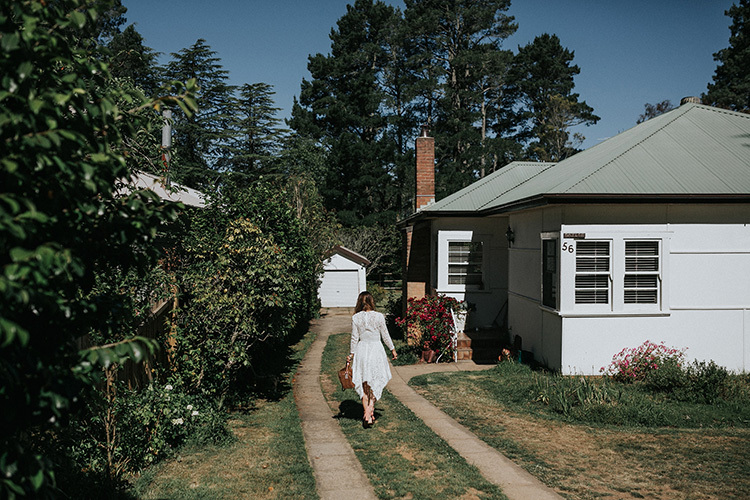 The mountains are known for their sleepy cottage vibe, however there are some trendy hidden gems here that aren’t too hard to find. 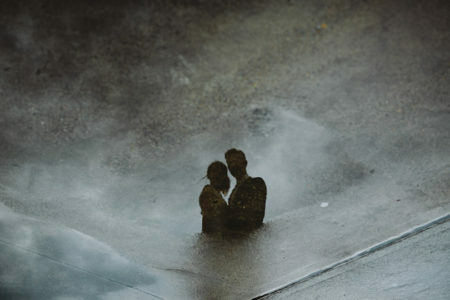 In fact they actually seem obvious once you start looking. 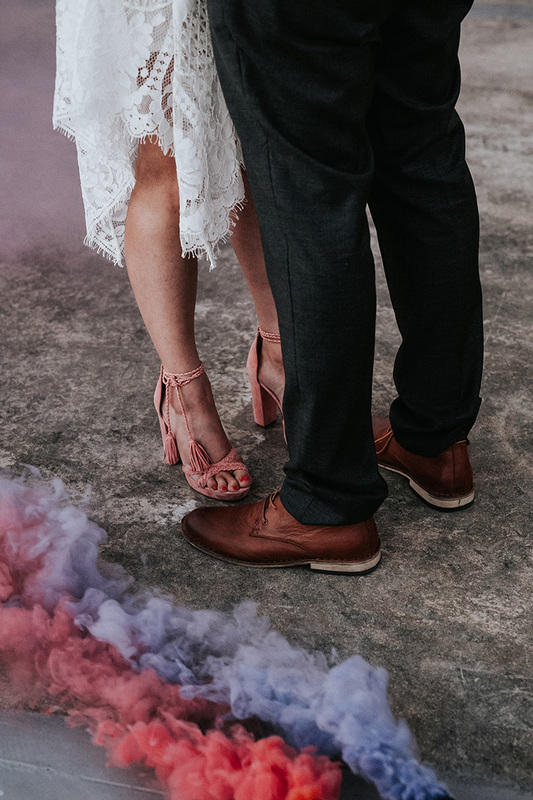 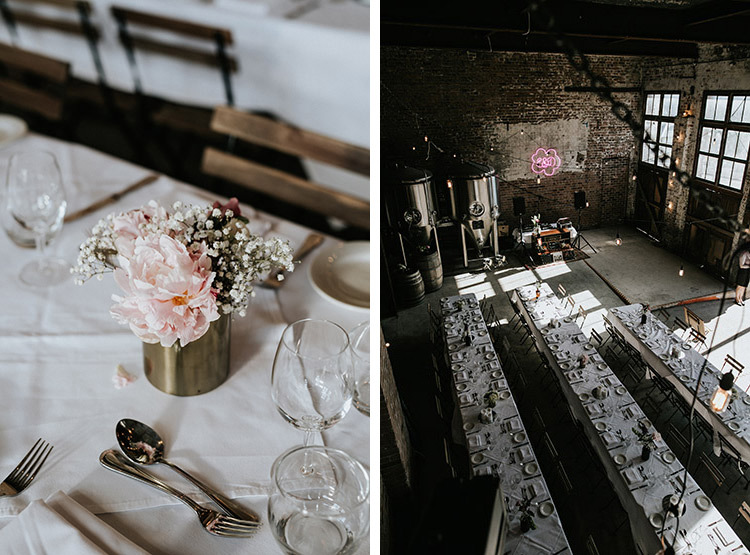 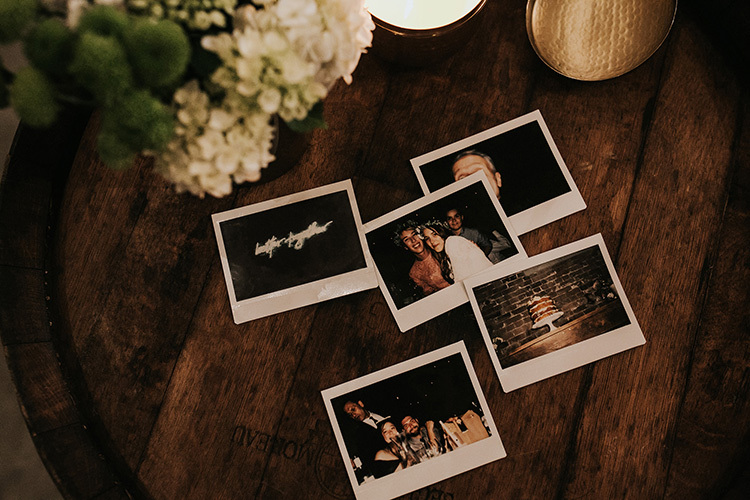 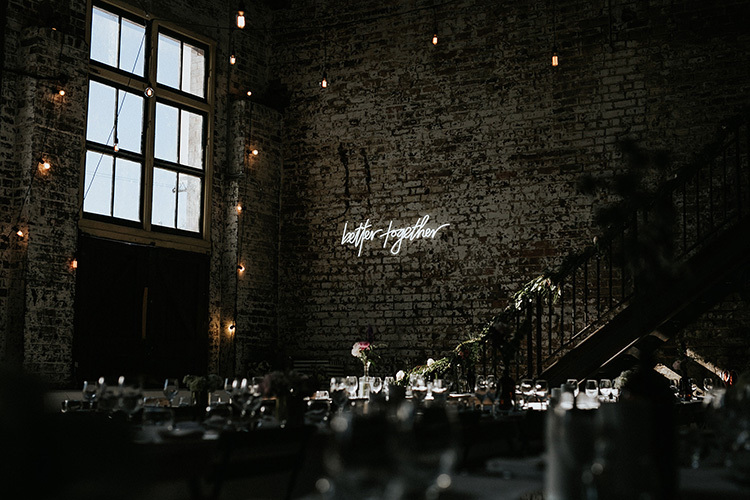 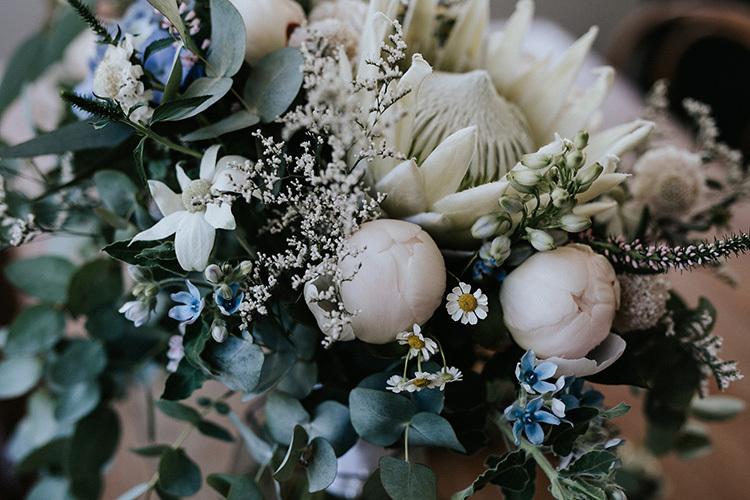 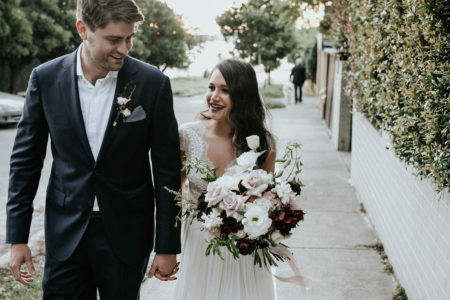 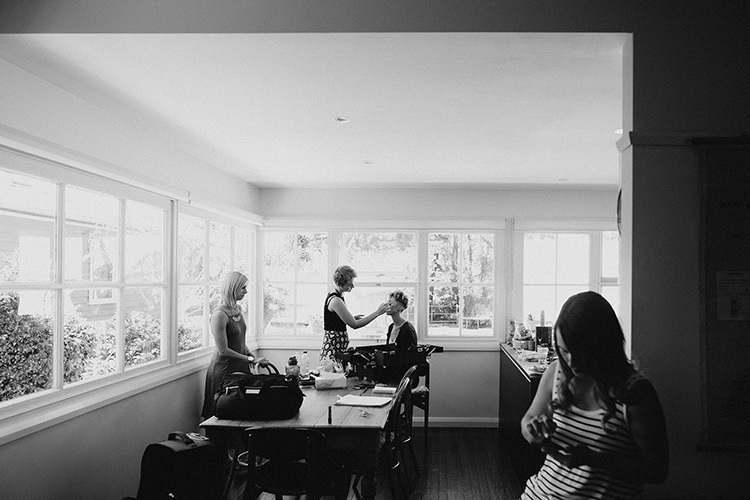 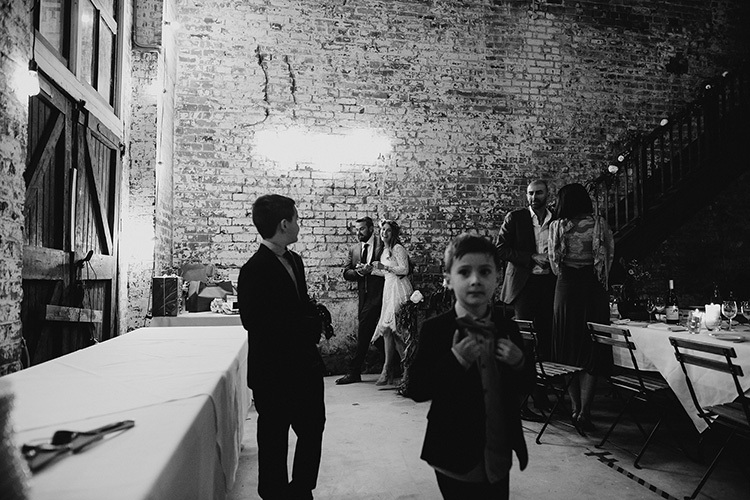 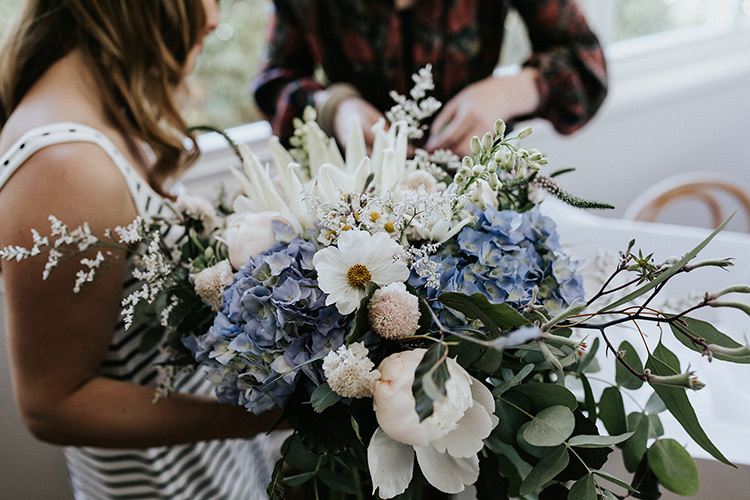 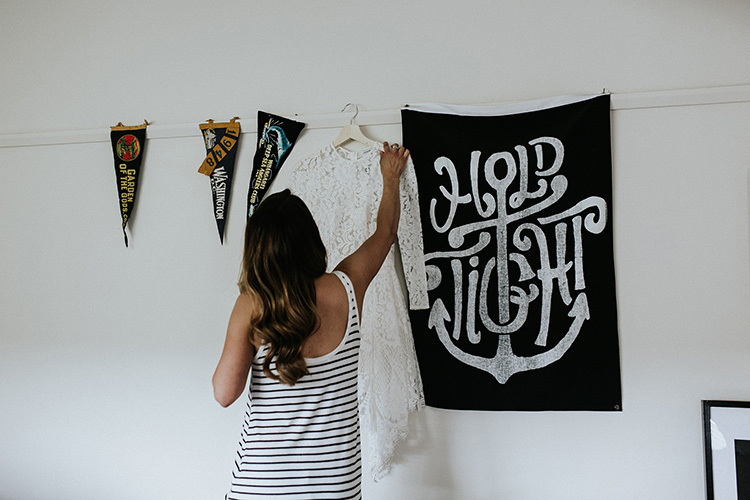 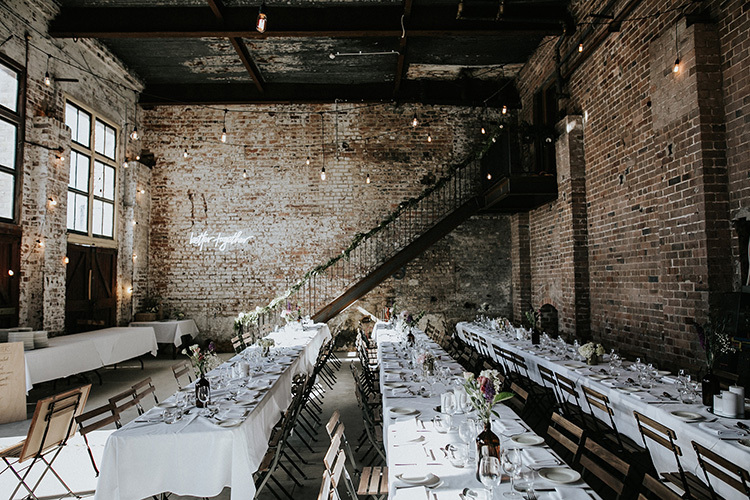 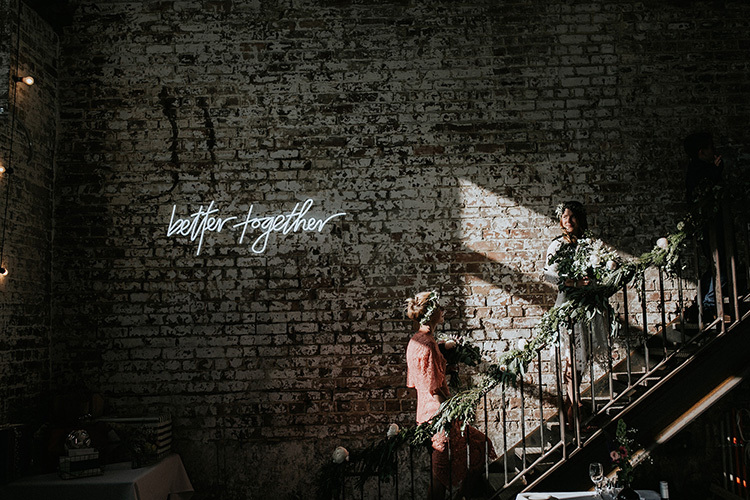 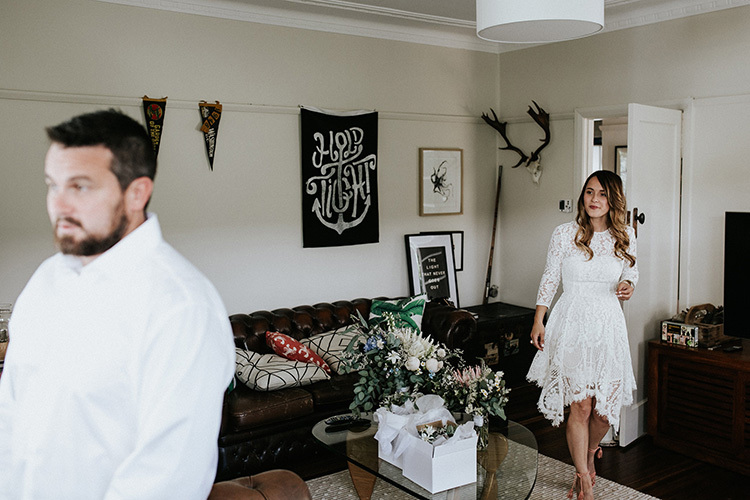 Eliza & Dillon are locals and effortlessly pulled together an awesome crew of venues and vendors for their stylish wedding. 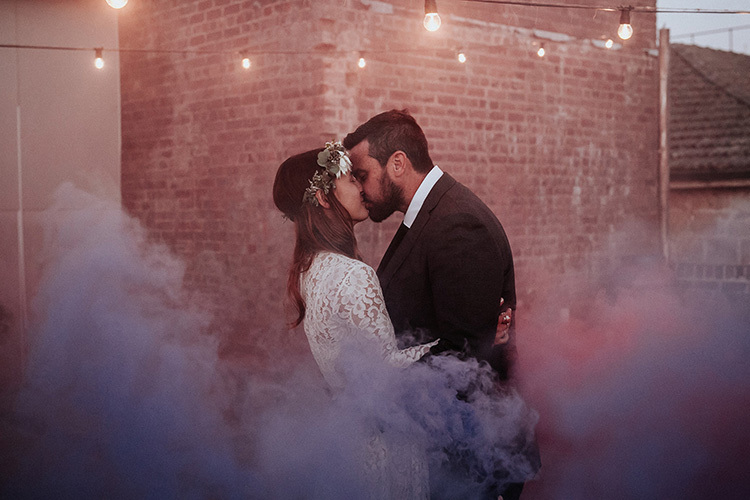 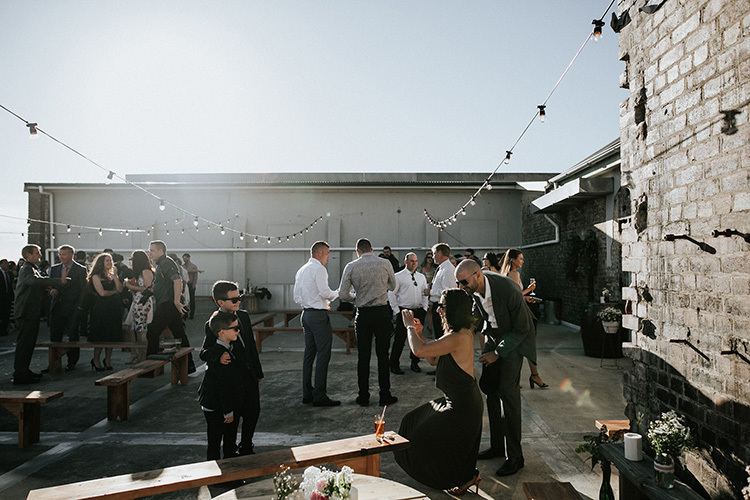 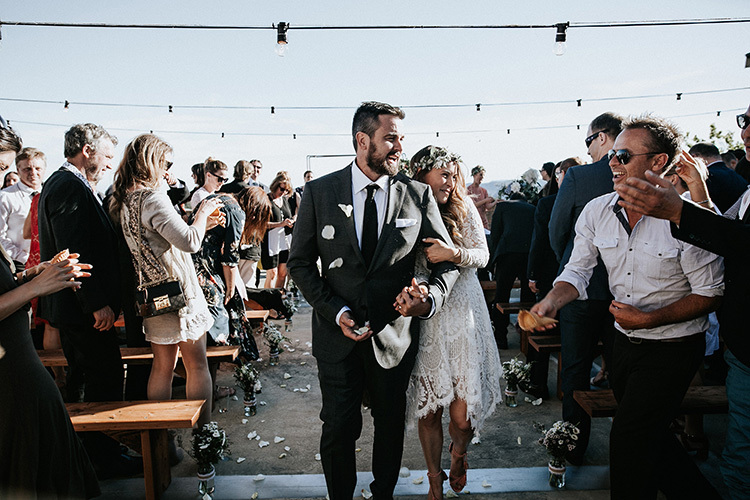 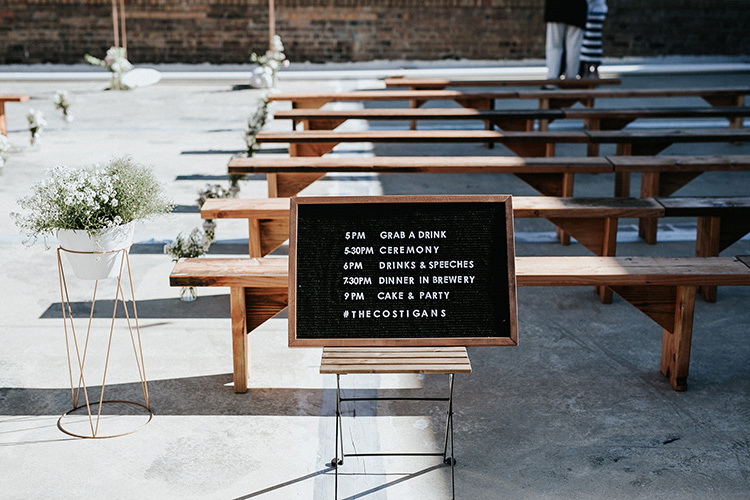 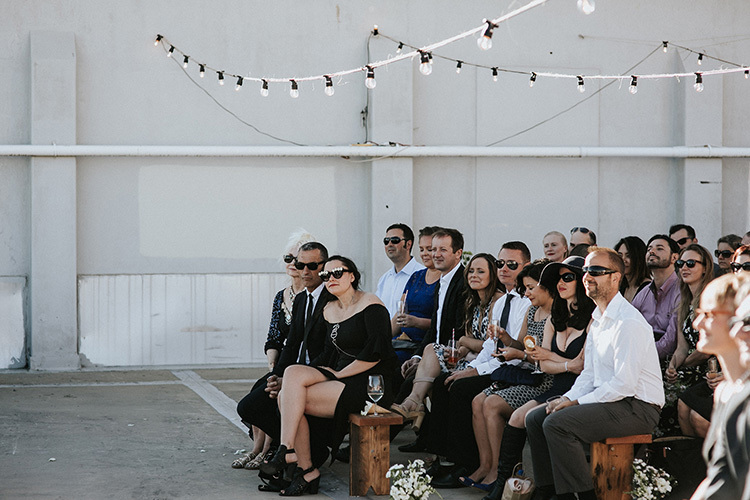 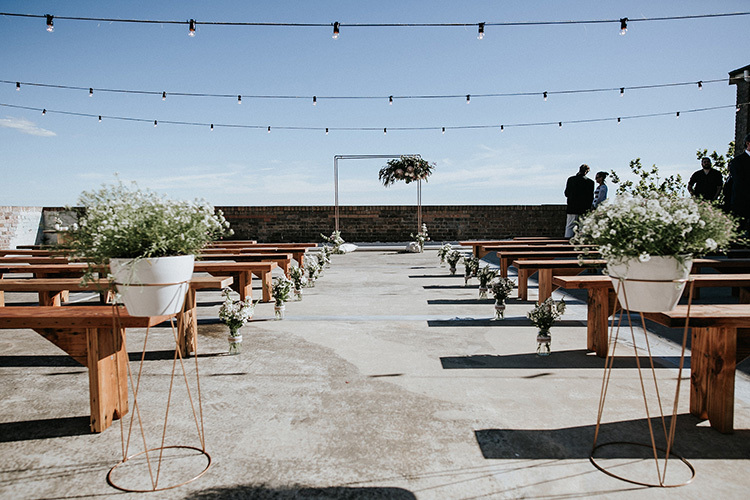 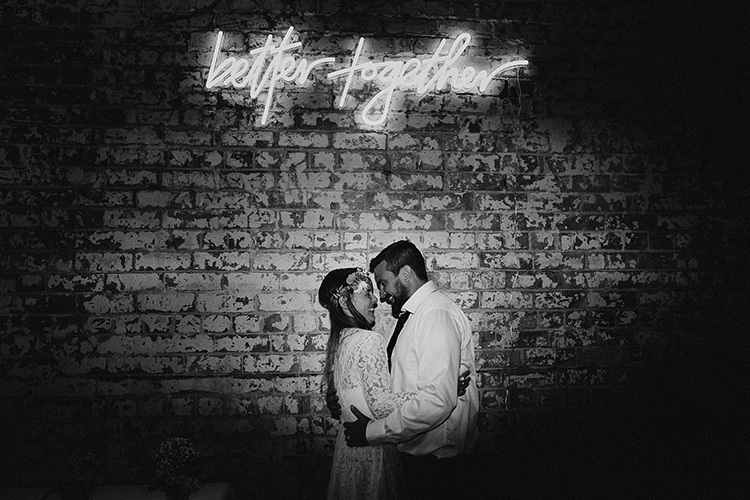 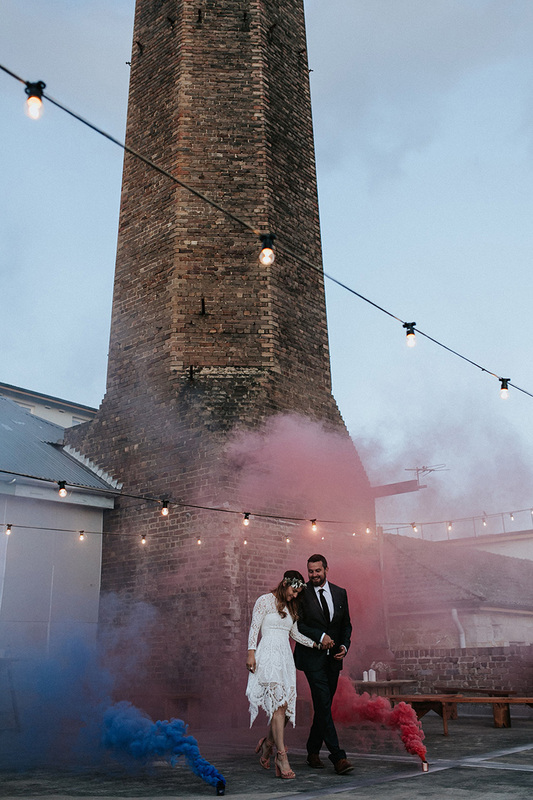 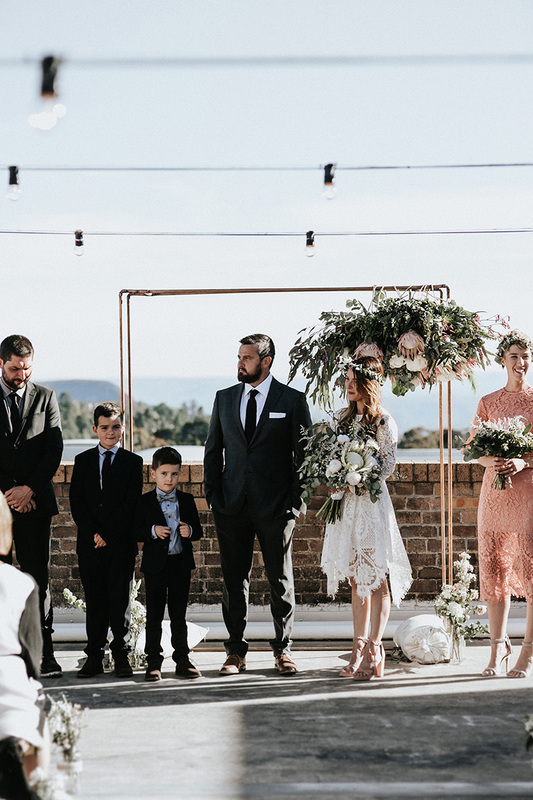 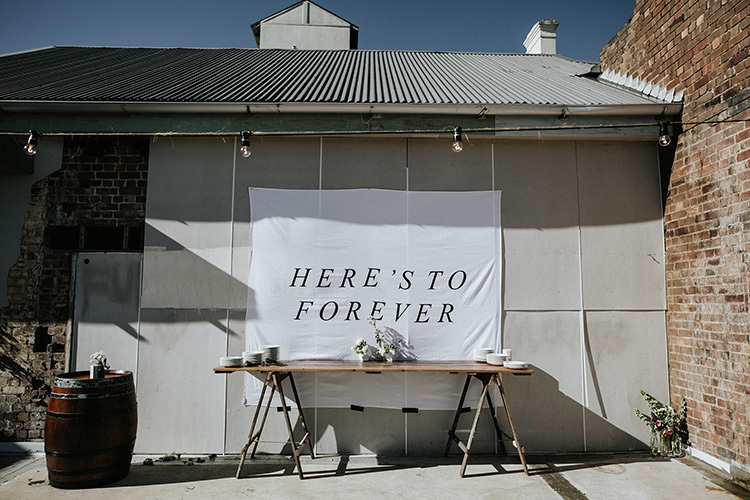 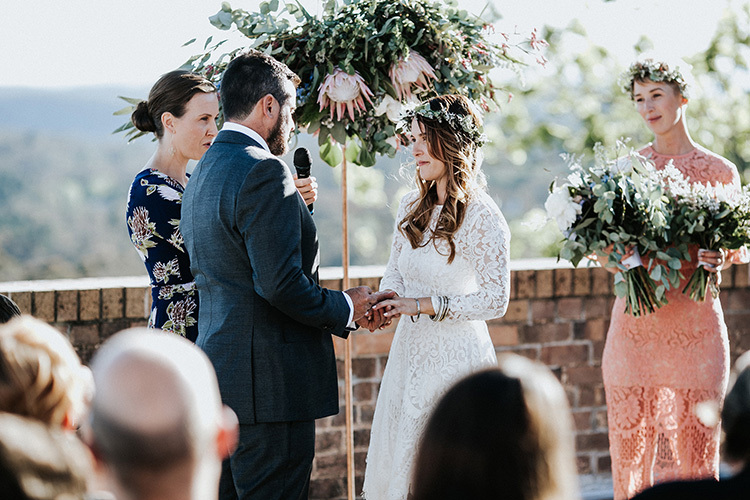 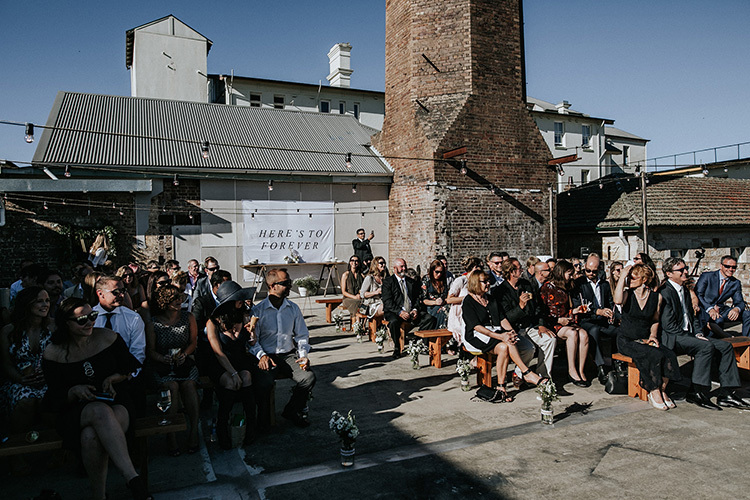 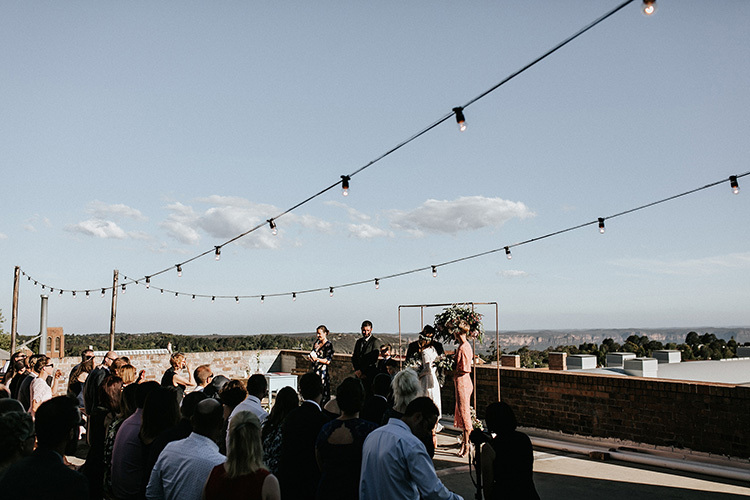 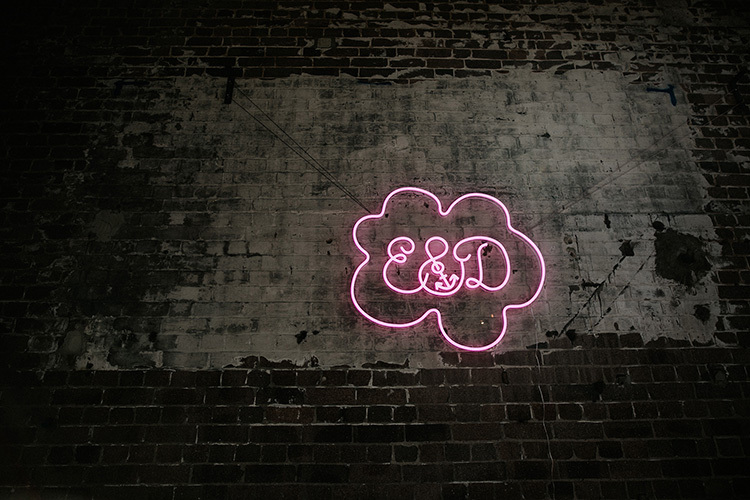 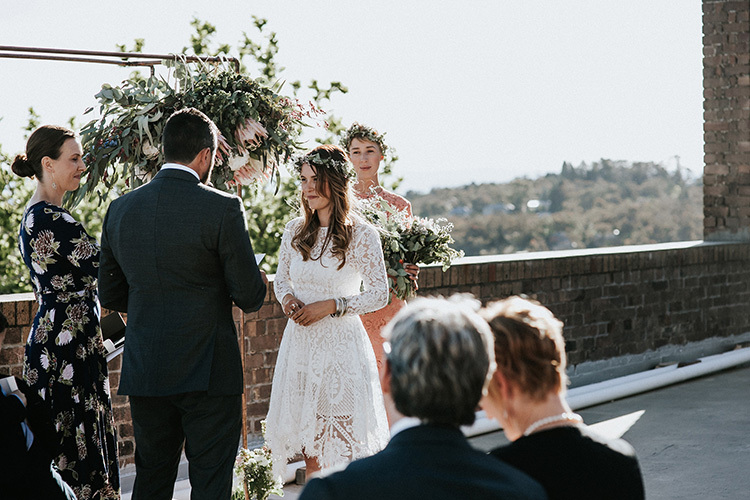 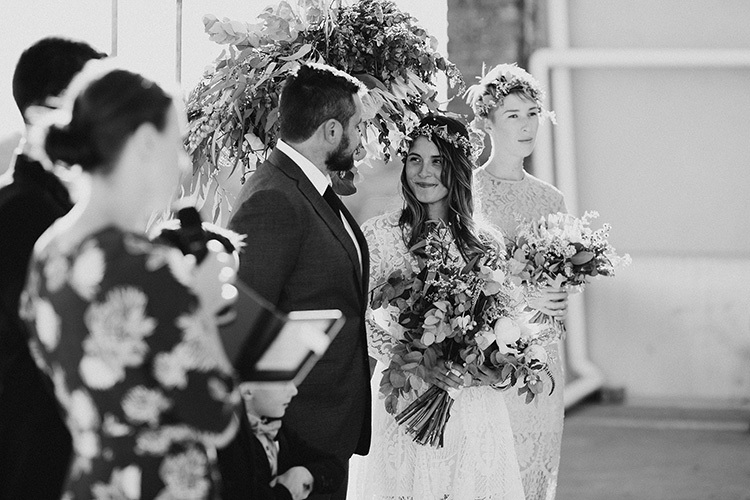 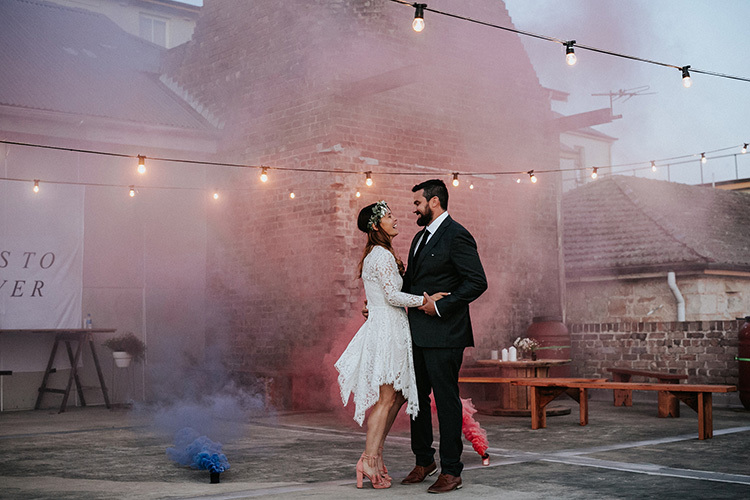 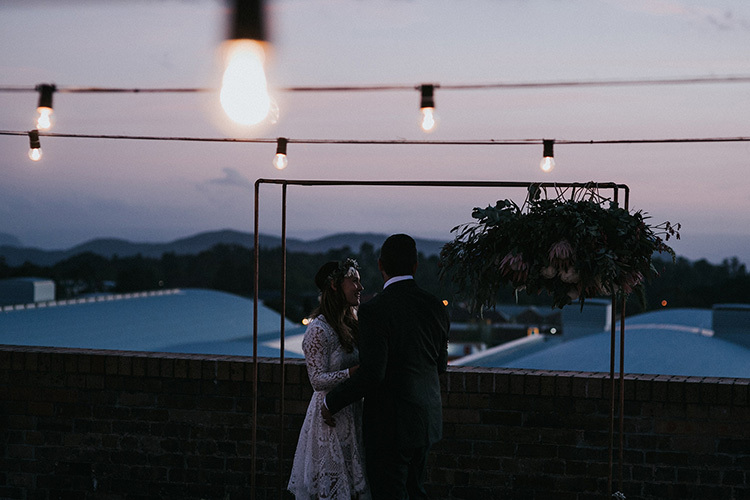 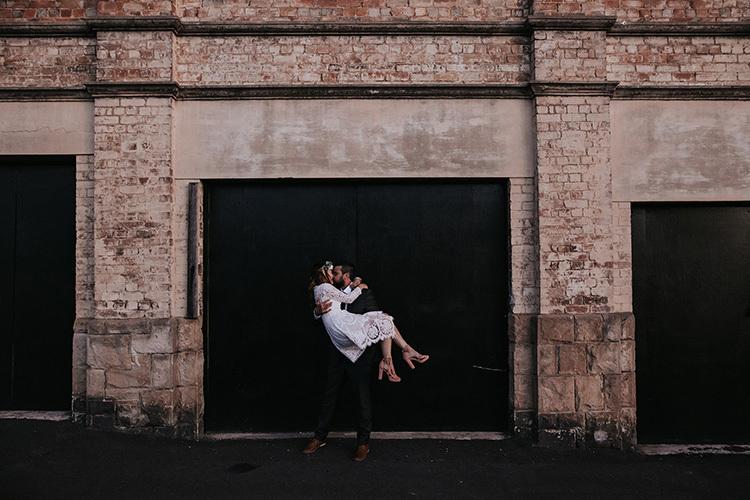 They were married on the rooftop of the Blue Mountain’s iconic Carrington Hotel with its industrial walls and historic view. 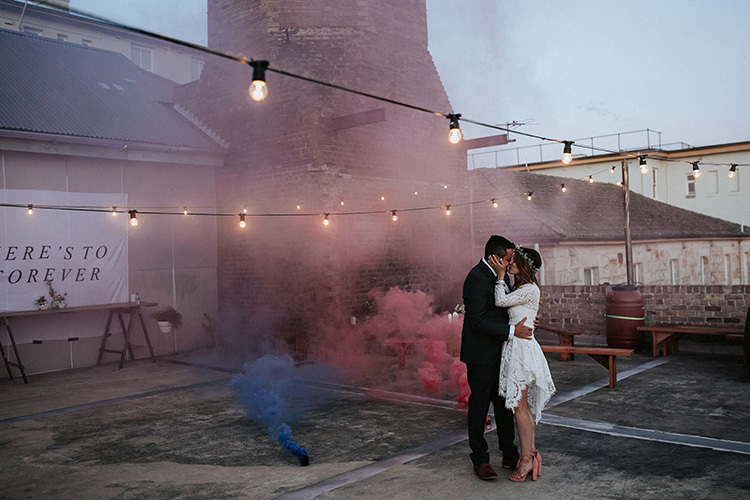 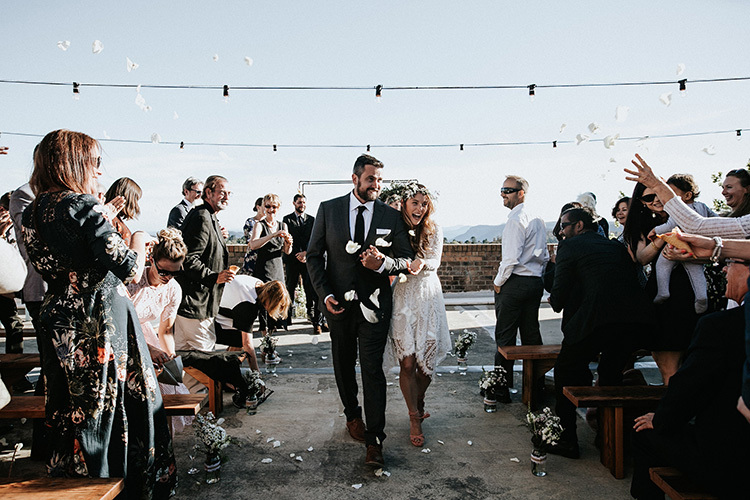 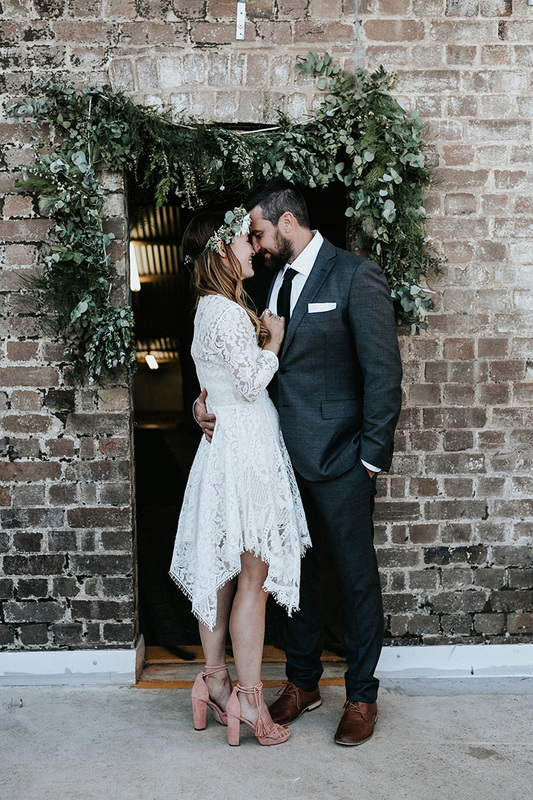 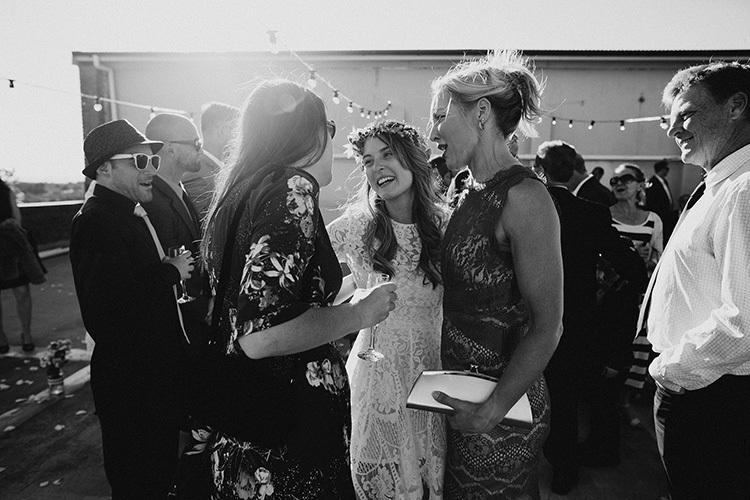 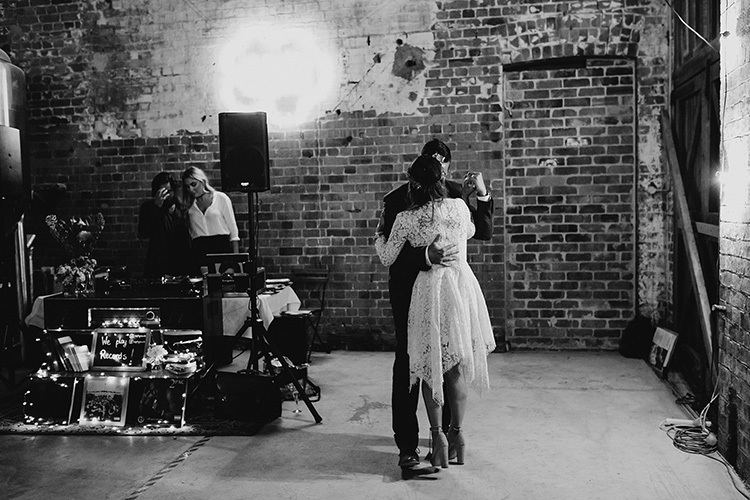 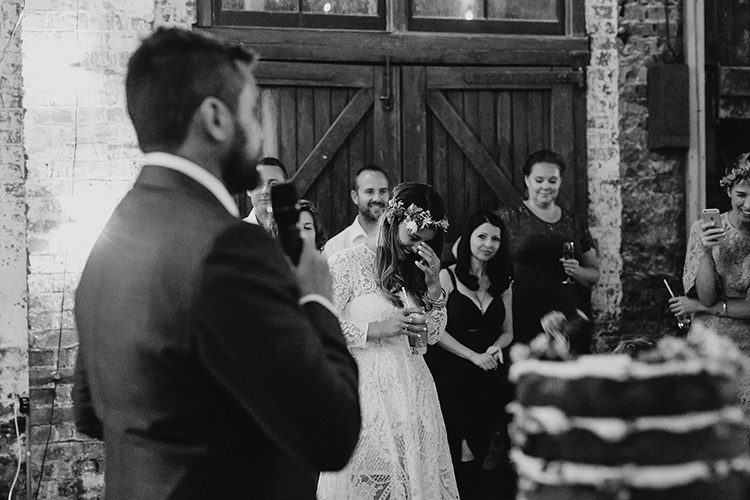 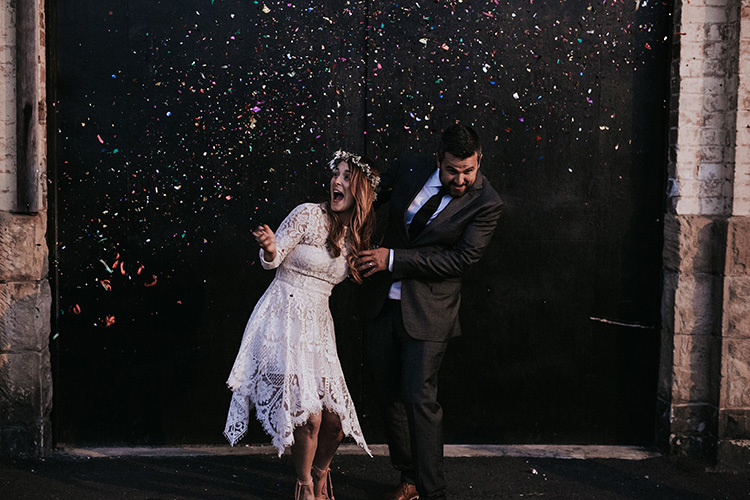 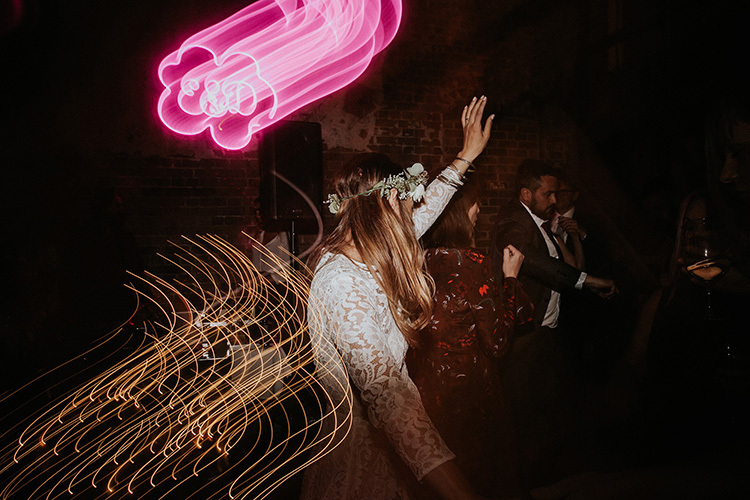 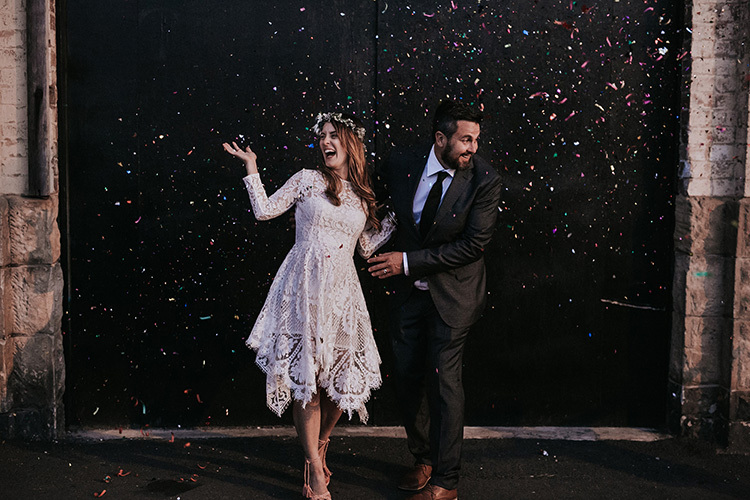 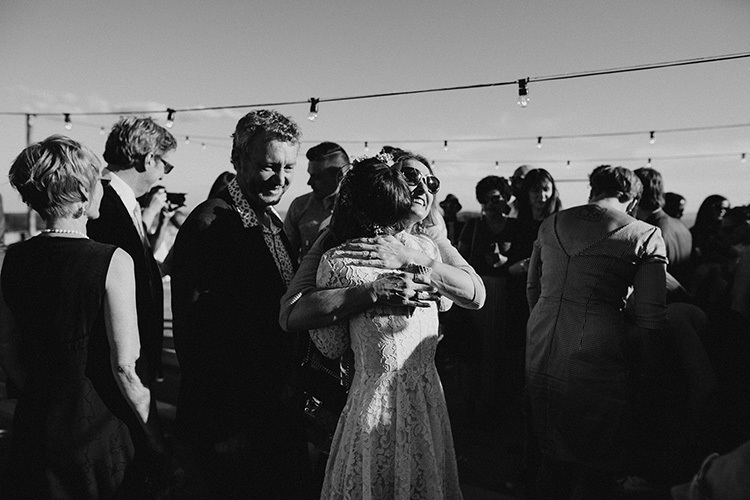 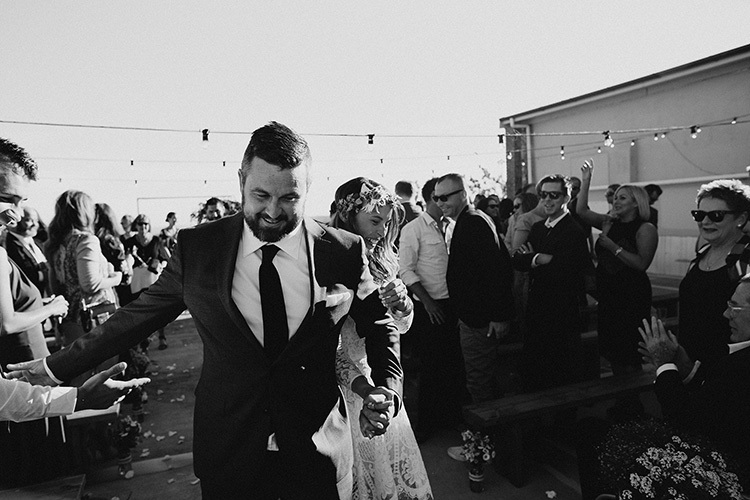 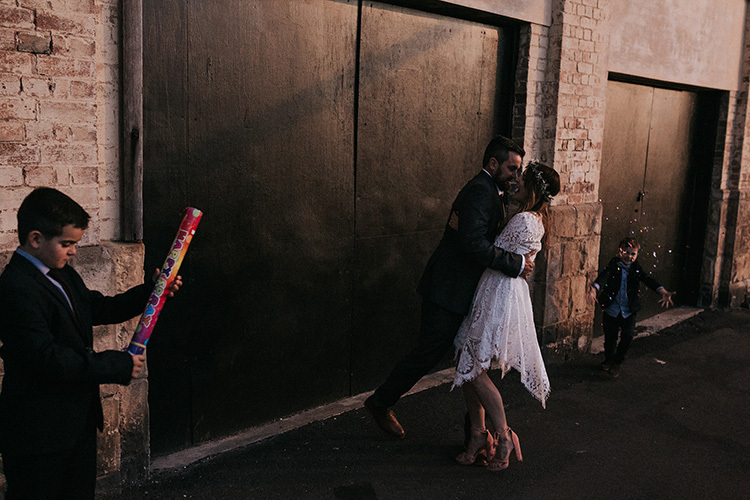 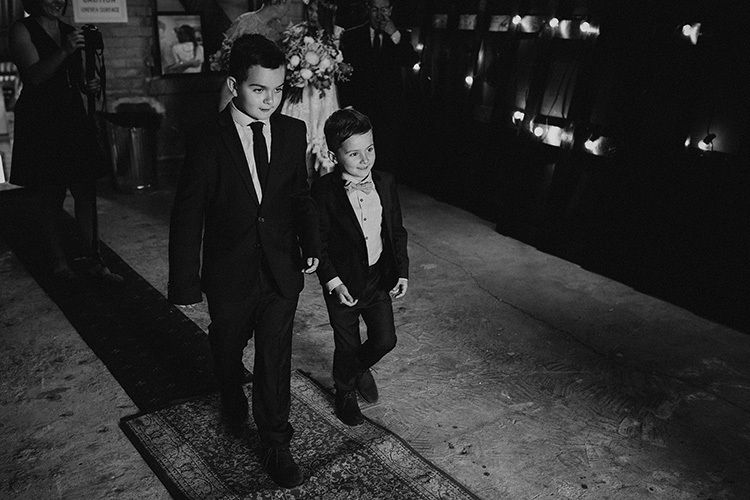 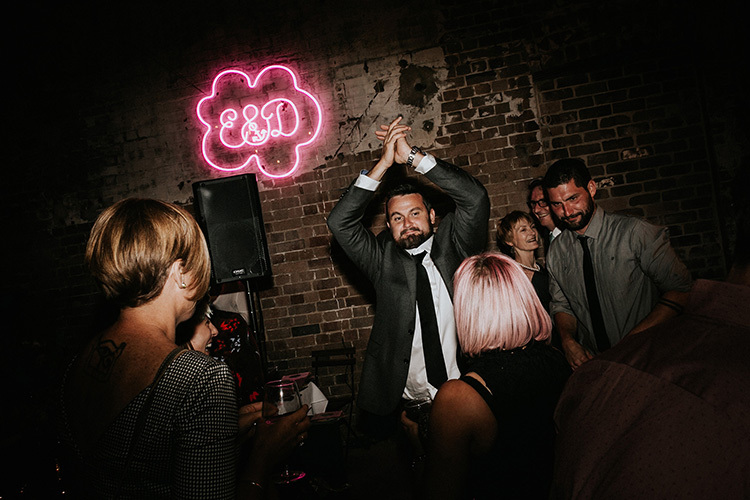 After rooftop hugs and drinks, they went downstairs to their Katoomba Brewing Company wedding reception. 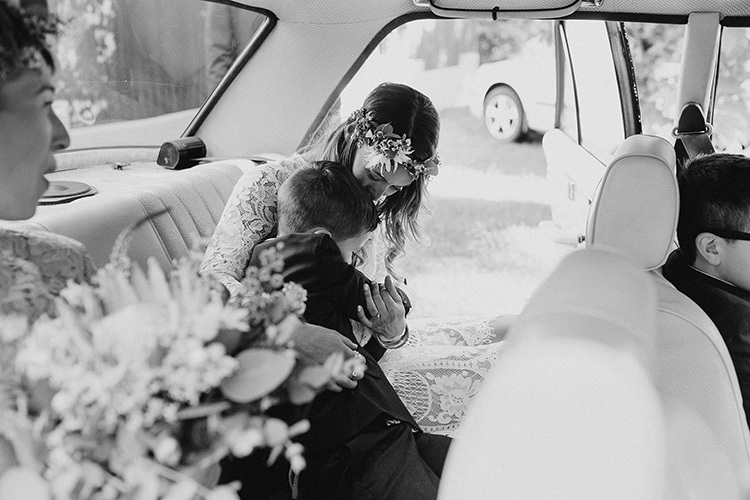 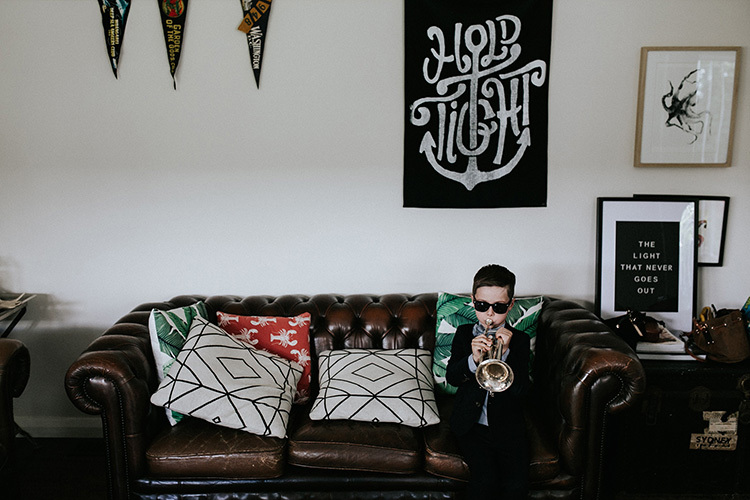 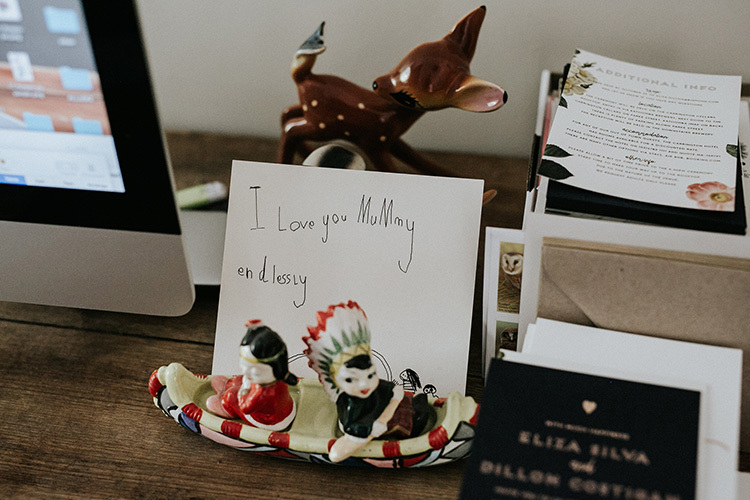 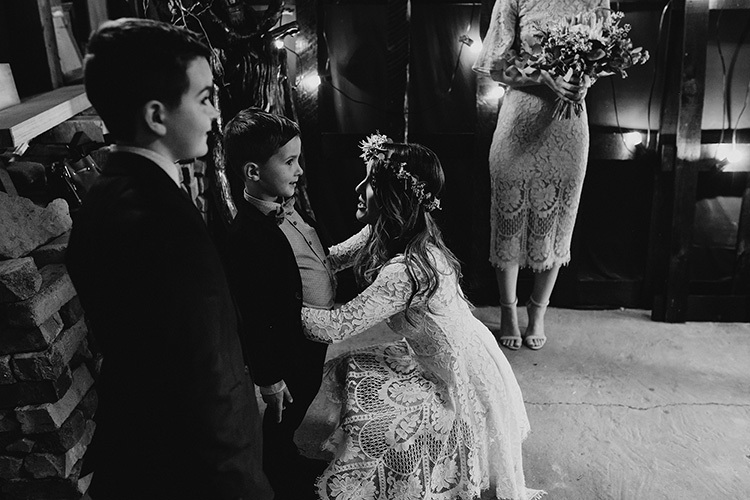 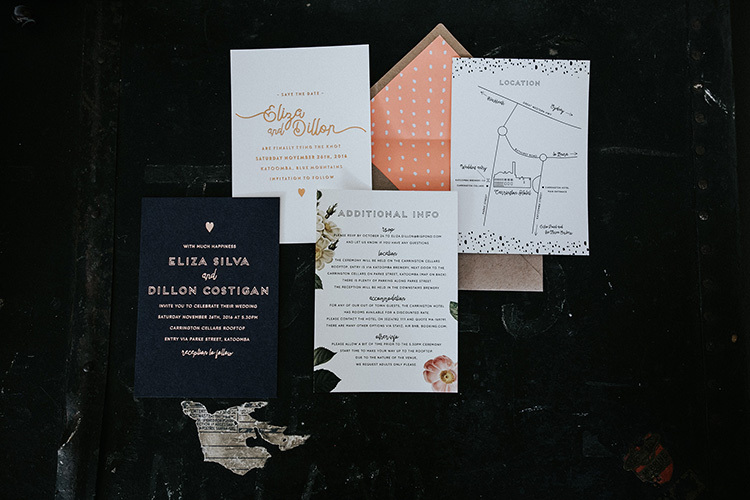 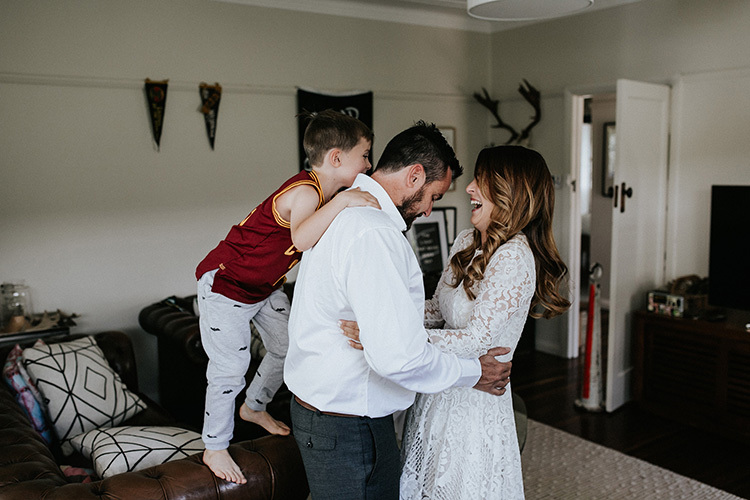 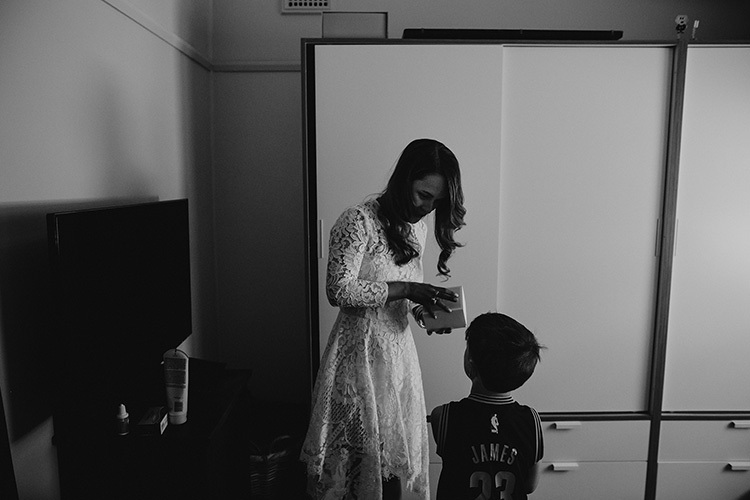 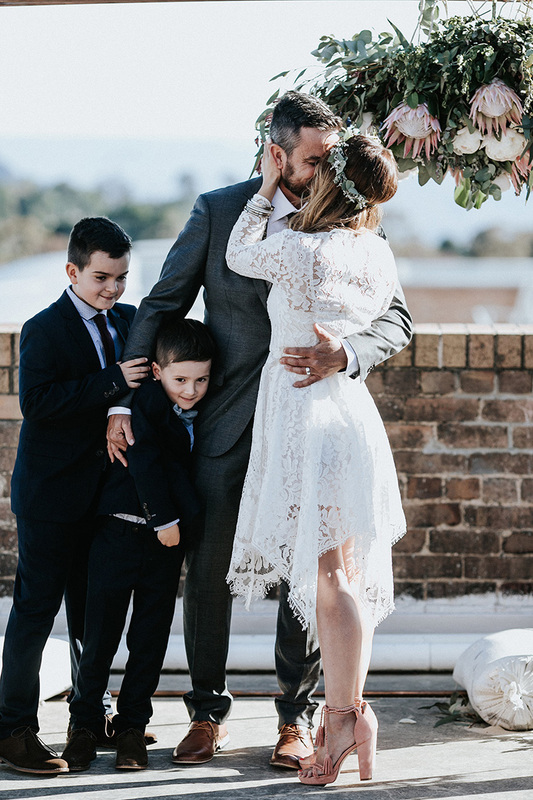 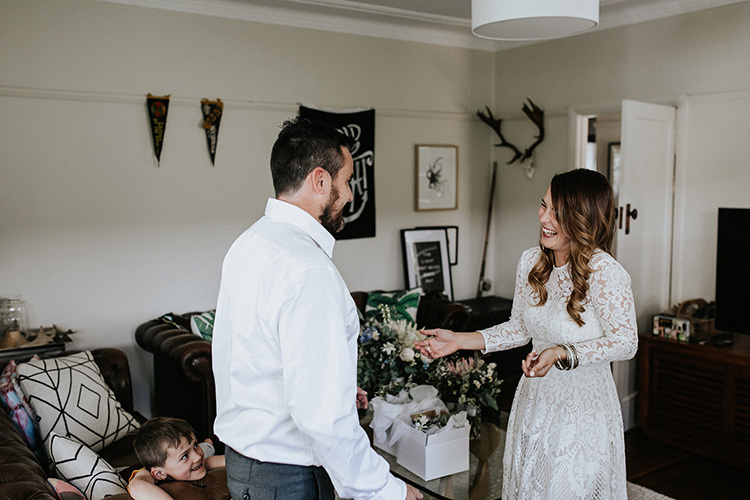 Eliza is the talented graphic designer behind Winterwoods Design (check out her beautiful range of stationery here) and she lovingly curated a stylish day for herself, Dillon and their two beautiful sons. 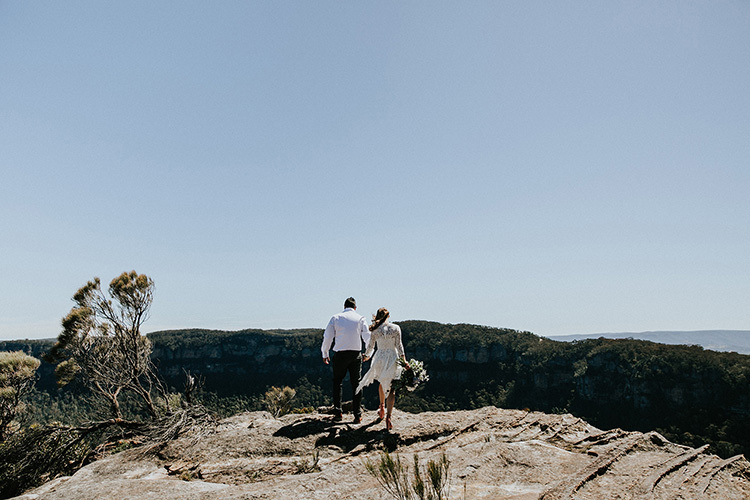 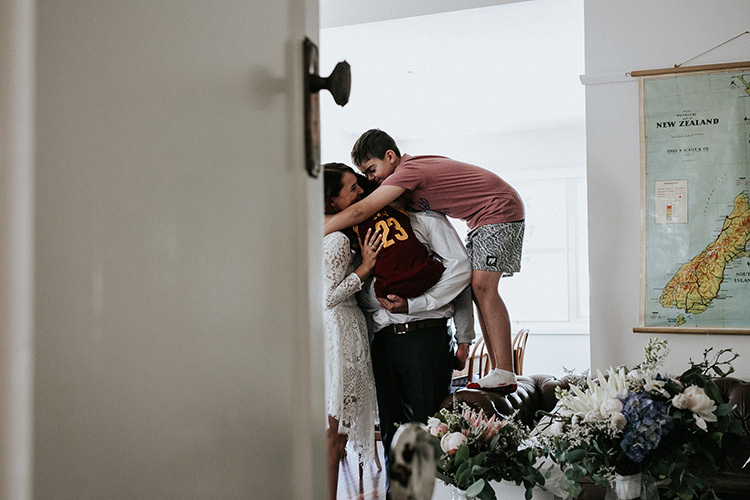 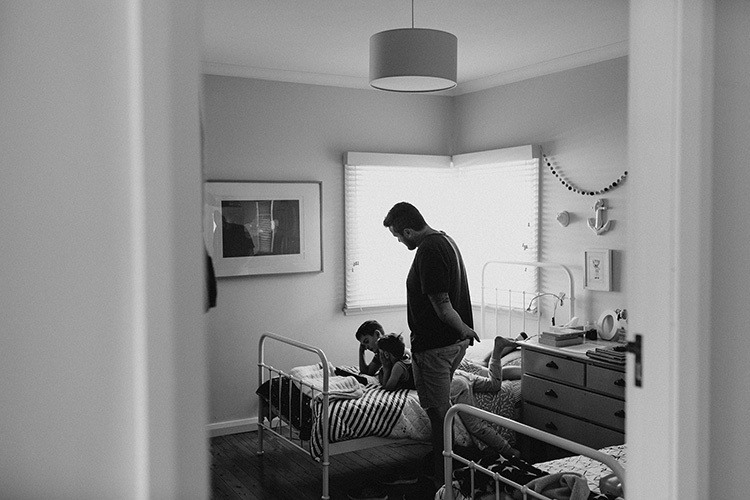 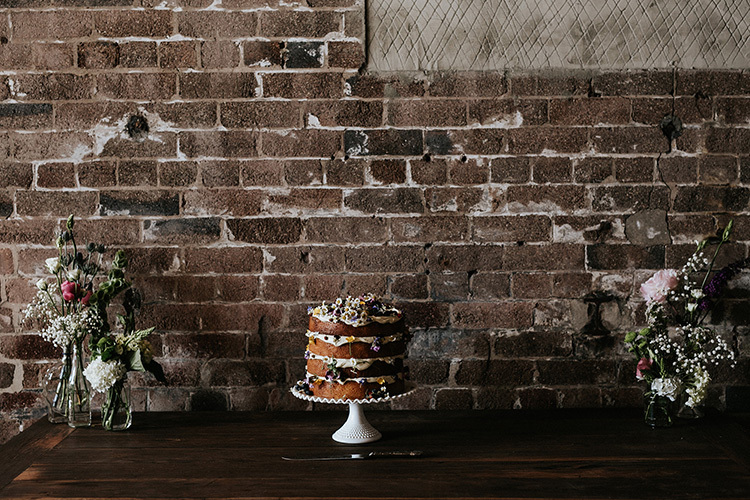 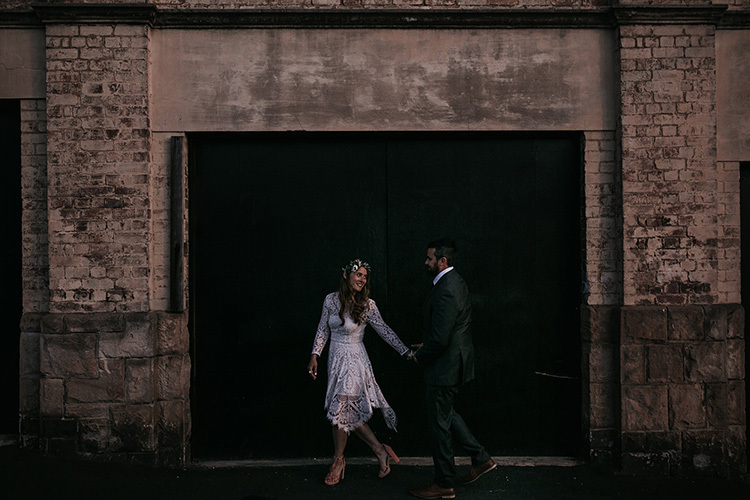 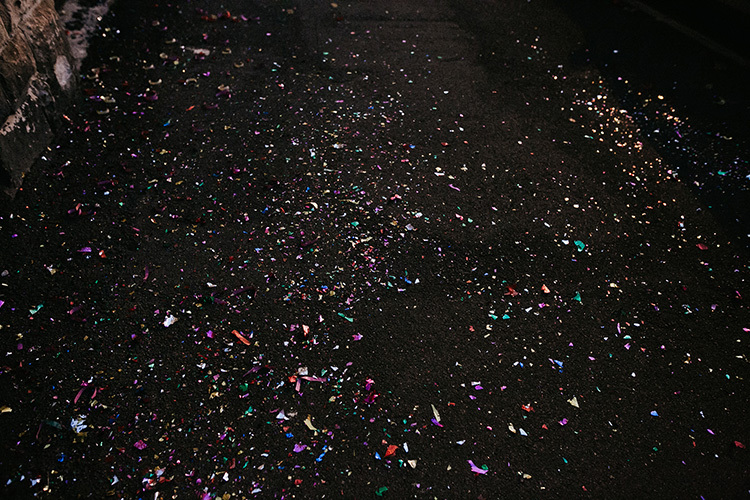 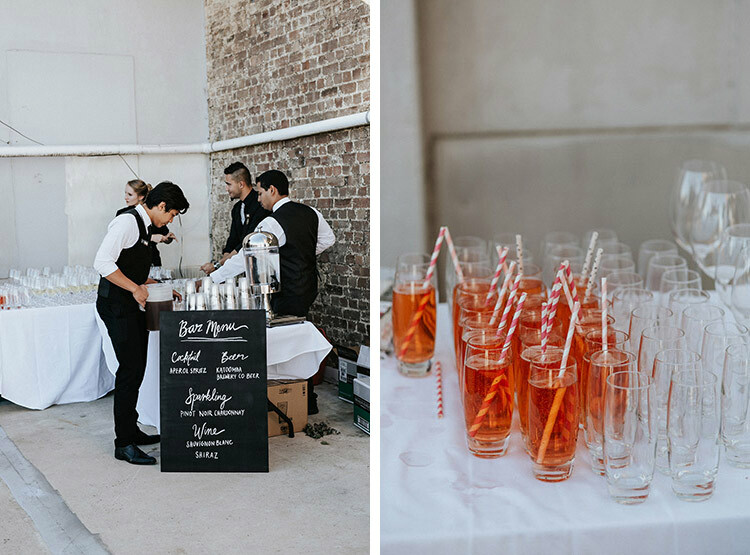 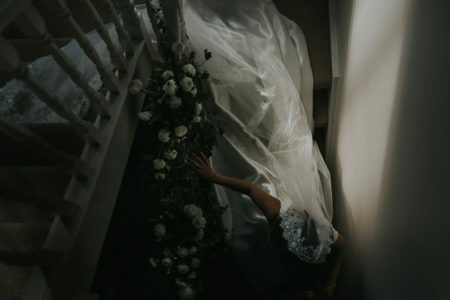 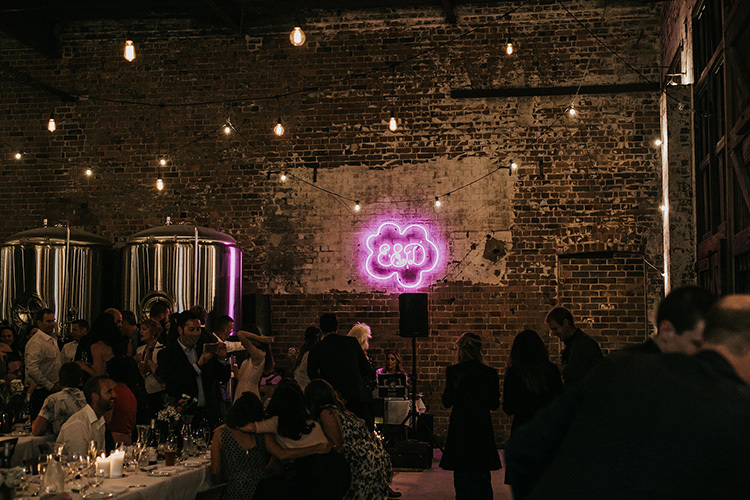 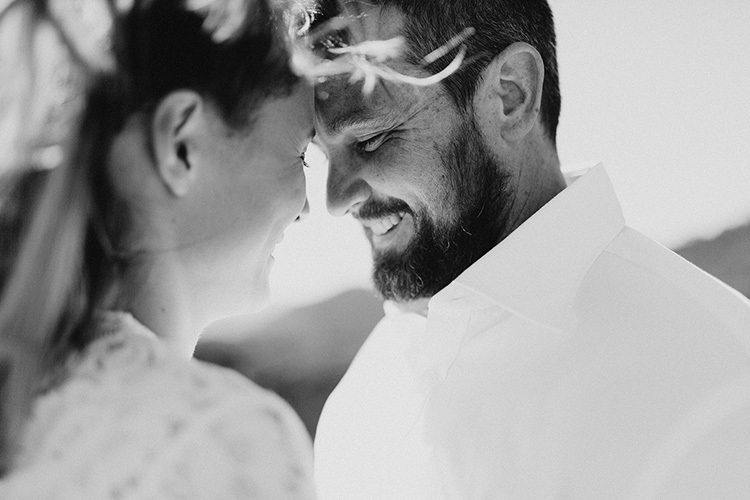 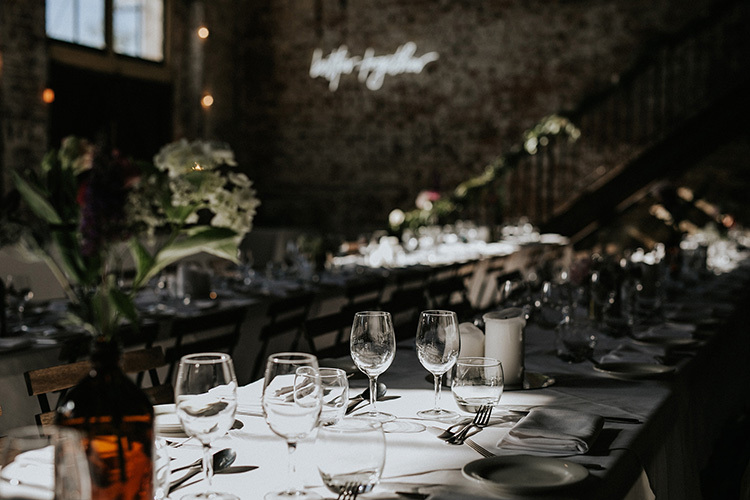 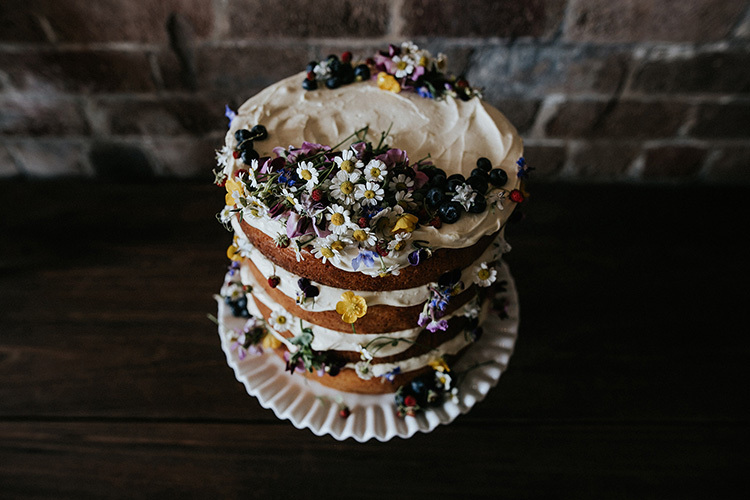 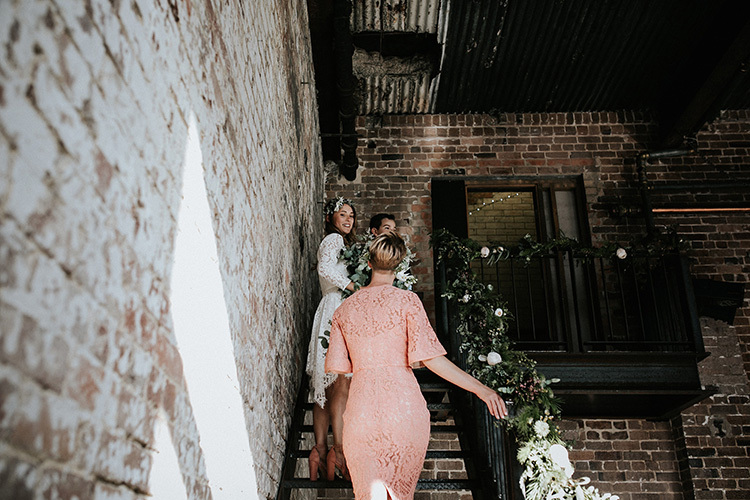 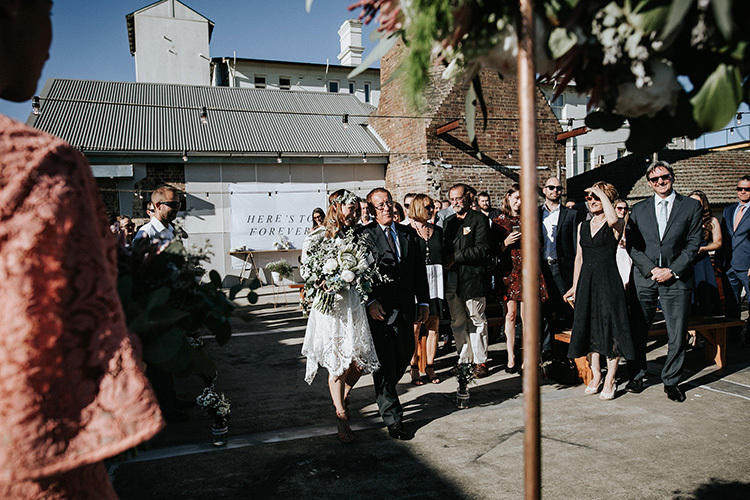 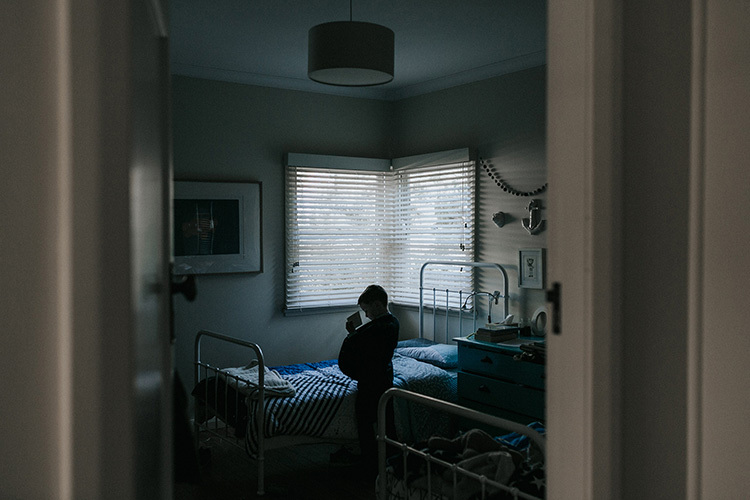 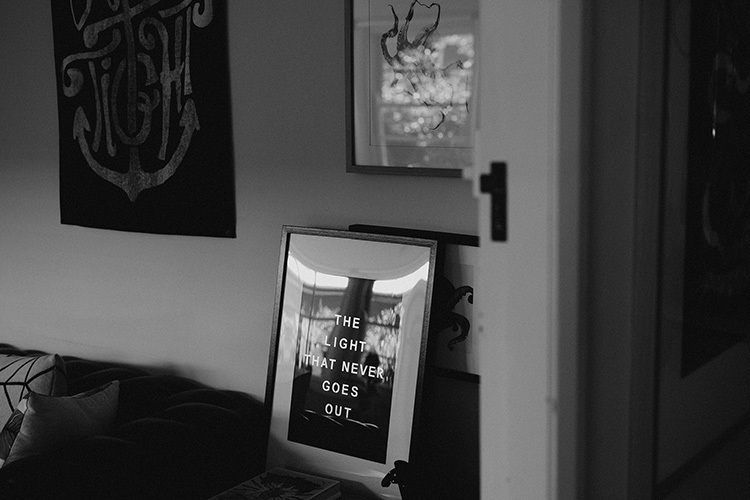 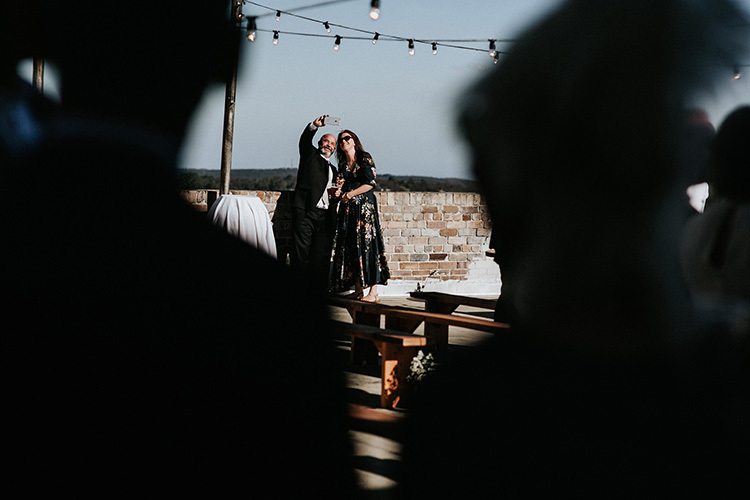 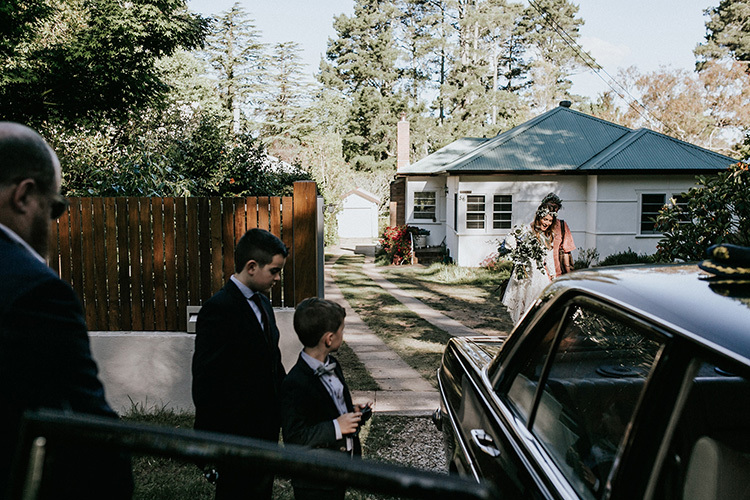 More about their day can also be read over at Hello May who featured their incredible Katoomba Brewing Company wedding.